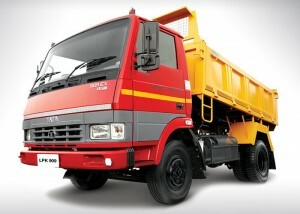 9 Tonner Tipper Truck SpecificationsOur range of tipper trucks is available in the semi-forward and full forward categories. They come fitted with the best-in-class aggregate set-up, power steering, superior braking systems and fully built tipper body options. Designed for long life cycles and tough work conditions, the Tata Motor tipper trucks provide the best solutions for operating economy. Select a variant below for more details.